We are offering a wide range of MS Hex Bolt. 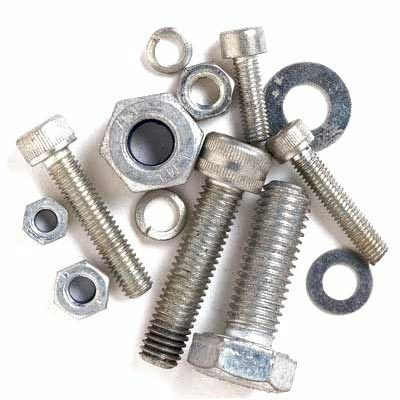 As we are known as the reigning manufacturers of Structural Fasteners, the offered MS Bolts are manufactured from quality raw materials and are quality tested on various parameters before they are delivered to our clients. Apart from this, these items are much acclaimed by our customers that are located all across the country. Customers can buy these products at an affordable price. Our products are highly demanded by our customers. Our offered range of products ensures high durability, tensile strength and resistivity to the adverse conditions. The MS Bolt is extensively used in various industrial applications, in Automation, Paper and Pulp, Chemical applications, etc. We are based in Tamil Nadu, India.